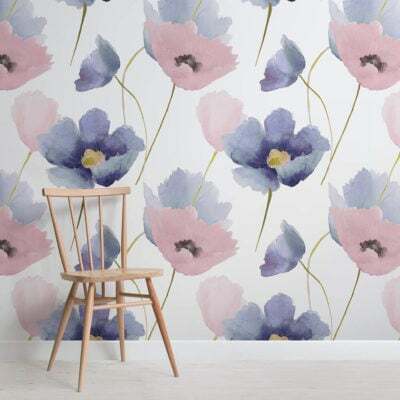 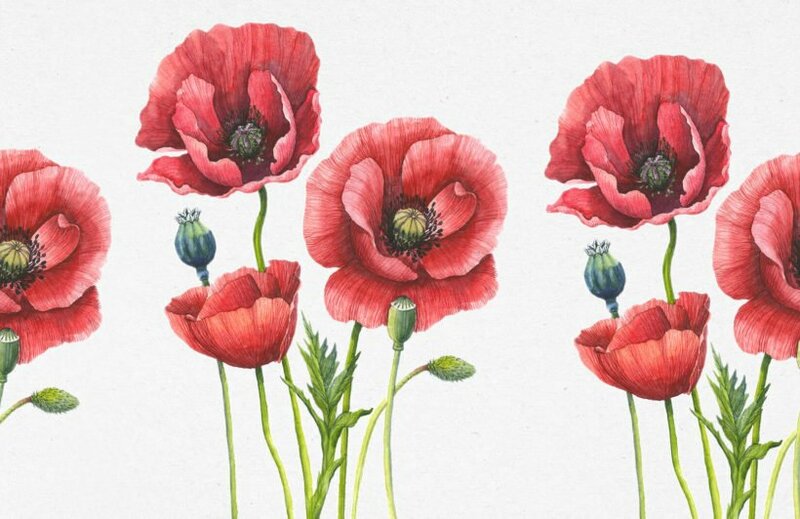 Welcome the awe-inspiring splendor of poppies blooming in the wild during late spring or early summer in the Vintage Poppies Wallpaper into your space. 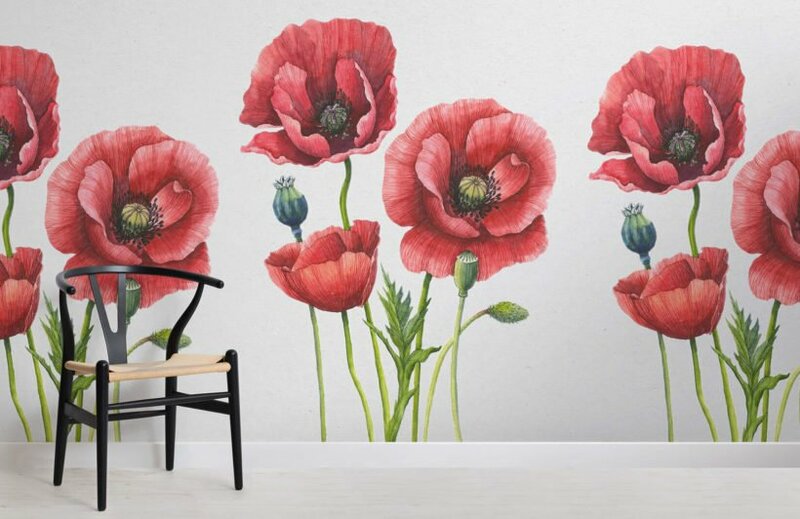 With this mural, homeowners can experience daily the bright red and subtle blue colors and be transported to the middle of a poppy field, while drastically improving the aesthetic of any room. 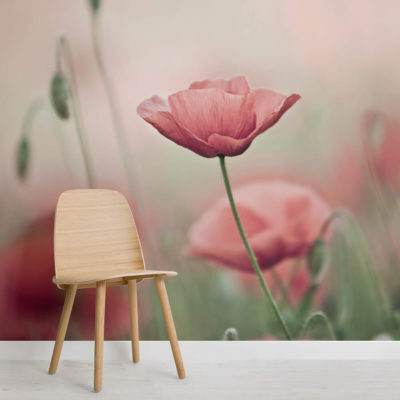 This red poppies wallpaper displays every fragile detail of the colorful plants as they thrive, allowing any living room, or bedroom can dramatically to become livelier or more tranquil.